Hose carrier lets you carry your sewer hose, fishing pole, or other equipment in a protected tube. 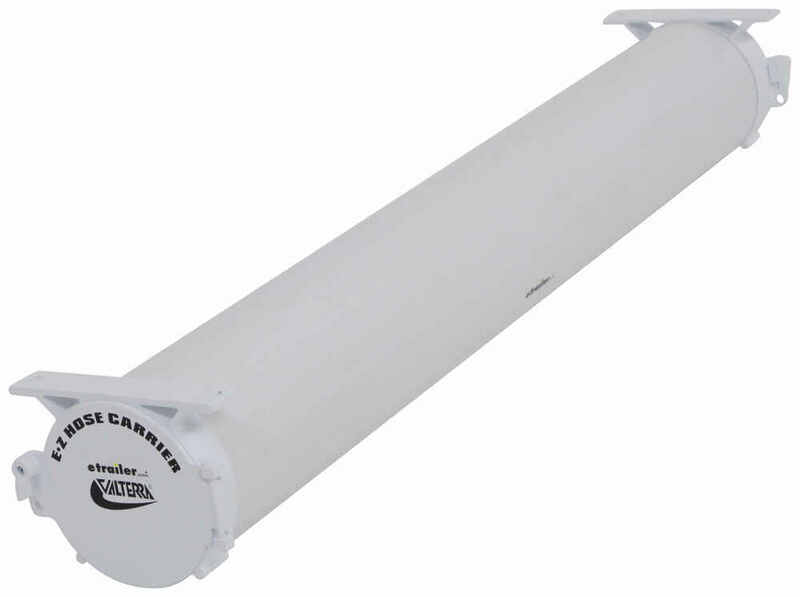 Carrier adjusts to the length of your sewer hose or equipment. Hinged door with twist latch closure on each end. Mounting brackets and screws included. Lowest Prices for the best rv sewer from Valterra. 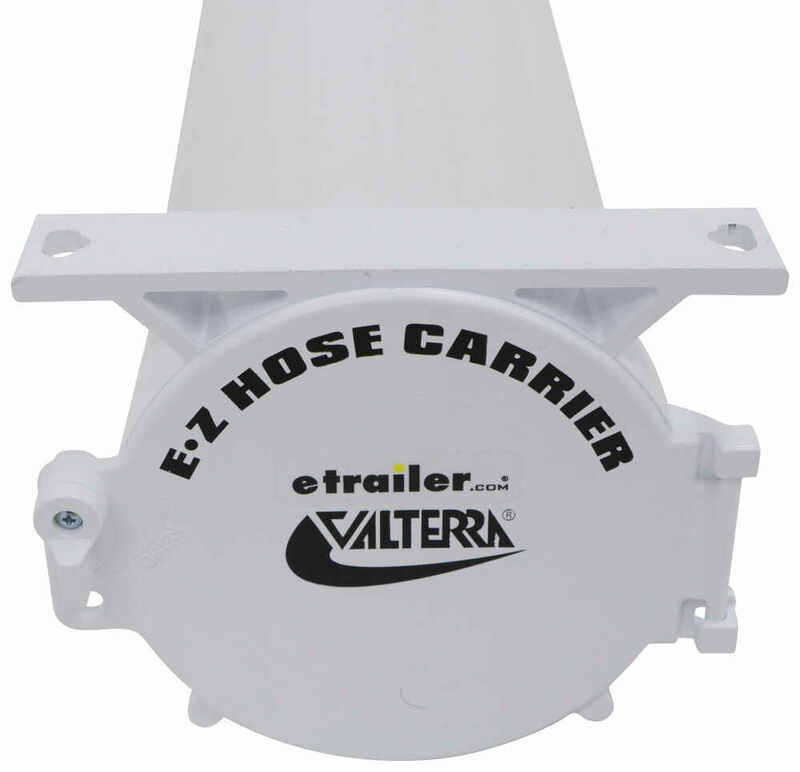 Valterra RV Sewer Hose Carrier - Adjustable - 34" to 60" - White part number A04-3460 can be ordered online at etrailer.com or call 800-298-8924 for expert service. Hose carrier lets you carry your sewer hose, fishing pole, or other equipment in a protected tube. Carrier adjusts to the length of your sewer hose or equipment. Hinged door with twist latch closure on each end. Mounting brackets and screws included. Mounting hole dimensions (center to center): 5-1/4"
Today we're going to be taking a look at the Valterra adjustable RV hose carrier. This hose carrier is great for carrying and storing your drain hose systems for your RV. It would simply mount under the RV, like to the frame, or the frame tongue, or even the bumper. The large space inside allows your hoses and fittings to easily be stored. Even those hoses that have the pre-attached fittings would fit inside of this area. This area, in here, measures 4 1/2", so that's the inner diameter of this hose carrier. It could also be used to carry other items. If you're not using it to carry your drain hose system, you could use it for other items and accessories as well. 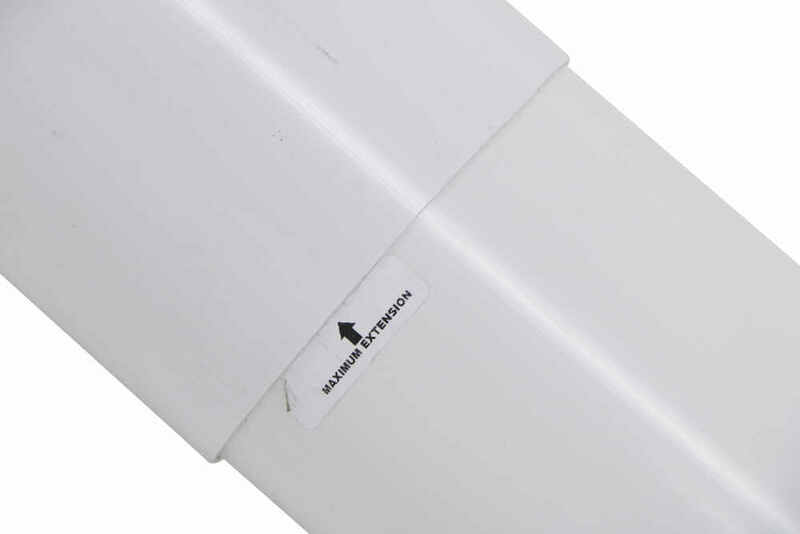 One of the neat things about this unit is that this tube length can easily adjust from 34" to 60", so it has a telescoping feature. 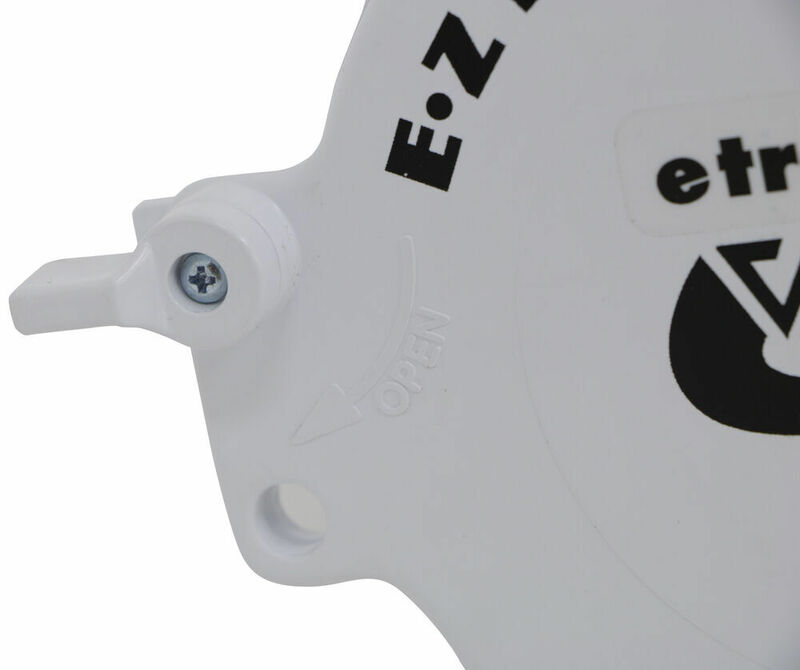 It's able to adapt for the best mounting location possible, as well as for the hose size that you want to use it for. The mounting brackets and the mounting hardware are included. Each side is going to feature this hinged door cap, same side up on each side of the unit. It's also got a slot, down here, so you could use a pad lock to increase security. That will accept a shackle diameter up to 1/4". The unit itself is made from a durable plastic construction that's white in color. A few measurements I want to go over with real quick. The distance that we have between the mount holes on center, it's going to be the same for the other bracket as well, it's going to be about 5 1/4 to 5 3/8". 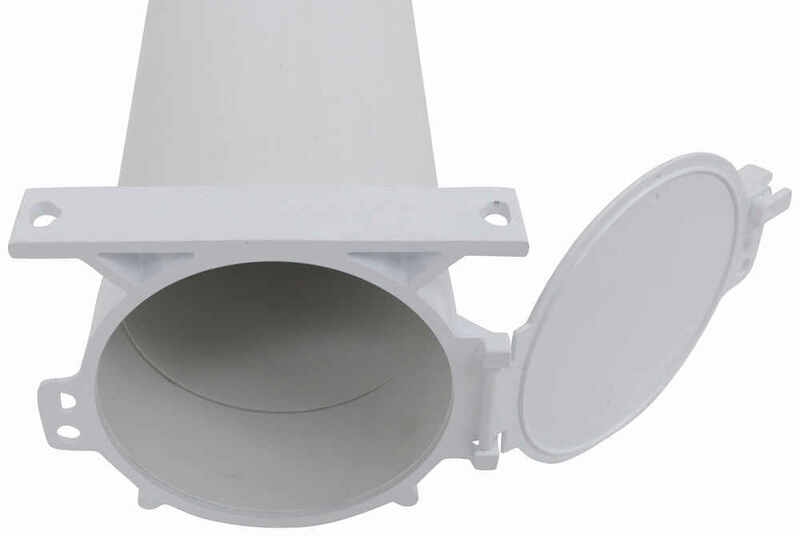 The mounting bracket gives us an overall length measurement of 6", and then a width measurement going this direction of 1 1/8. That's going to do it for today's look at the Valterra adjustable RV hose carrier. Order: RelevanceNewestRating - High to LowRating - Low to High Hose carrier lets you carry your sewer hose, fishing pole, or other equipment in a protected tube. Carrier adjusts to the length of your sewer hose or equipment. Hinged door with twist latch closure on each end. Mounting brackets and screws included. Will Dominator RV Sewer Hose Kit Fit In 4 inch Bumper Storage? Yes it does! 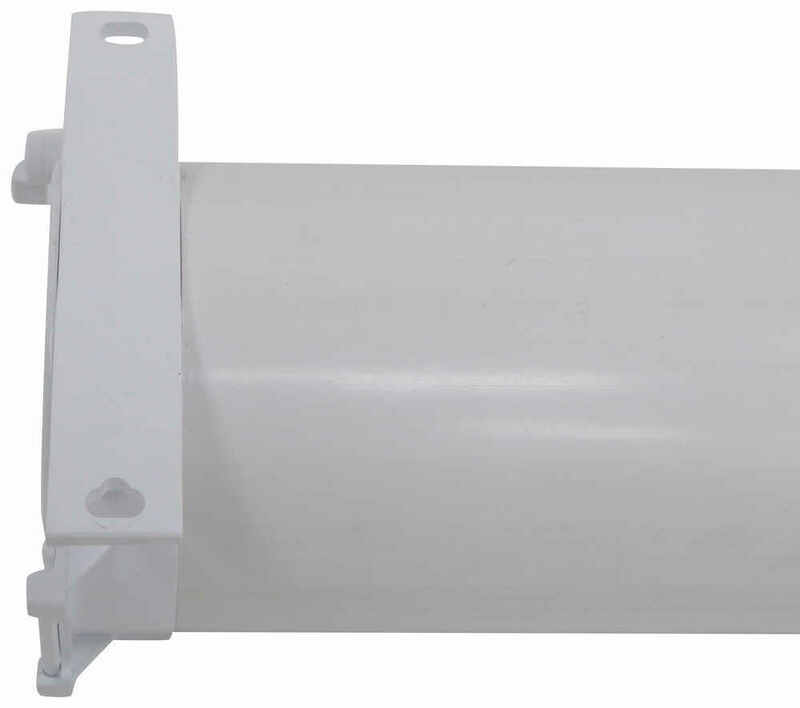 The Adjustable Valterra RV Sewer Hose Carrier comes in Black at part # A04-3460BK as well as White at part # A04-3460. The accompanying photo is one that a customer sent in of the black hose carrier installed on their trailer. 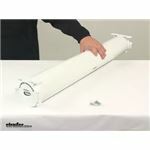 Both carriers can adjust in length from 34 inches to 60 inches and have a 4-1/2 inch inner diameter and 5 inch outer diameter. I've added links to video reviews of both for you to check out.